Thanks to all of you who answered our poll. We've had a lot of conversations with Linux users and there was a strong feeling that Linux shouldn't be a stretch goal. So we decided - we are going to do The Realm on Linux together with the Windows and Mac version as part of our normal release! But we need your help, we'd like to get a small group of volunteers to help us test the game on that platform and advise us on any technical issues. So if you think you are interested in doing this please drop us a line at info@therealmgame.com and following the succesful KS campaign we'll sort out the best way to move forward on this. Thanks again so much for all your support. Its really touching and can't wait to see this game on as many platforms as possible! Don't forget we really need your help reaching our goal, so please keep spreading the word! Next week we will run a Ask Me Anything campaign on Reddit where you can ask us any questions on design etc.. so keep your eye's peeled for that. Plus we will have more videos, more information & more updates on the game! Thanks! I'm spreading how I can. Thank you so much for not leaving out Linux gamers! I'm in for Linux testing! Saw the word you are supporting Linux without a stretch goal. That got my support! Ack, now I have to re-evaluate my tier! :-P Thanks from another penguin-lover. Yes! Excellent news, now I'll be able to spread the news to my feathered friends! 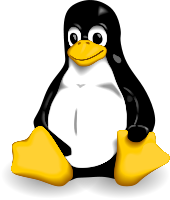 Thank you for the Linux support. I will spread the word. You are dropping one great news after another. :) I will keep the mail address in mind and definitely sign up for Linux testing later.